16 years is a lifetime in the rocky world of Hollywood marriages. 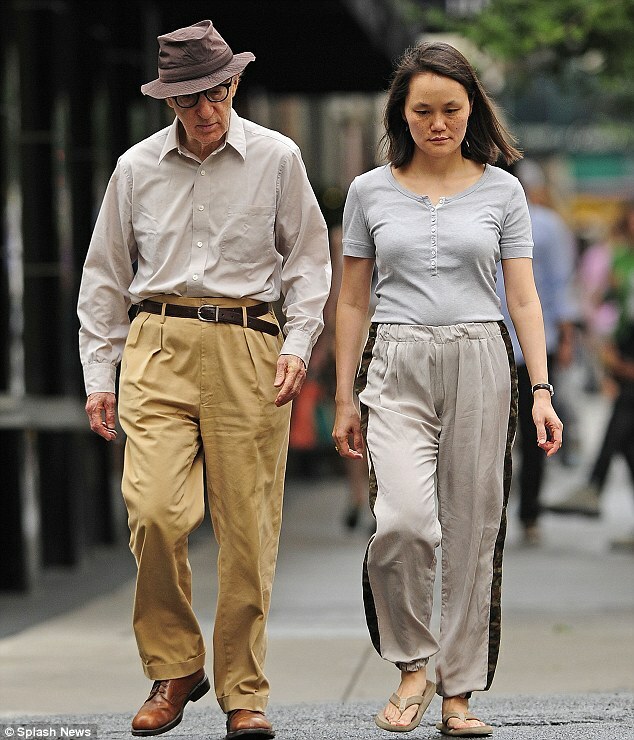 But Woody Allen and Soon-Yi Previn prove it can be done, despite their 35 year age gap. The 77-year-old was spotted sharing a tender moment with his 42-year-old wife as they strolled hand-in-hand down Madison Avenue, New York on Wednesday. 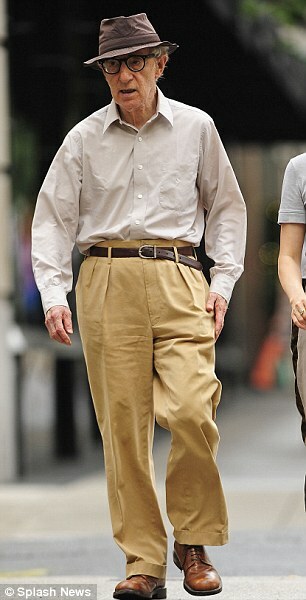 Allen wore what has become his signature daytime look of fawn slacks, shirt and sun hat, while Soon-Yi was even more relaxed in a grey T-shirt and baggy trousers. The actor and director looked frail, perhaps due to the fact he had recently flown into New York from Paris. On Tuesday, the industry veteran attended the Paris premiere of his latest film Blue Jasmine, and posed on the red carpet alongside his leading ladies Cate Blanchett and Sally Hawkins. Blue Jasmine - the director's 44th film - stars Blanchett as a New York socialite who suffers a nervous breakdown and goes to live with her sister Ginger, played by Hawkins. 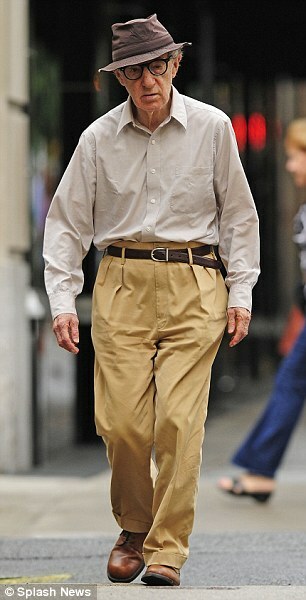 'He was fantastic,' she told the Daily Telegraph. Woody Allen and his younger wife infamously got off to a controversial start, as Allen was in a long term relationship with Soon-Yi's adoptive mother, the actress Mia Farrow, when the pair fell in love. 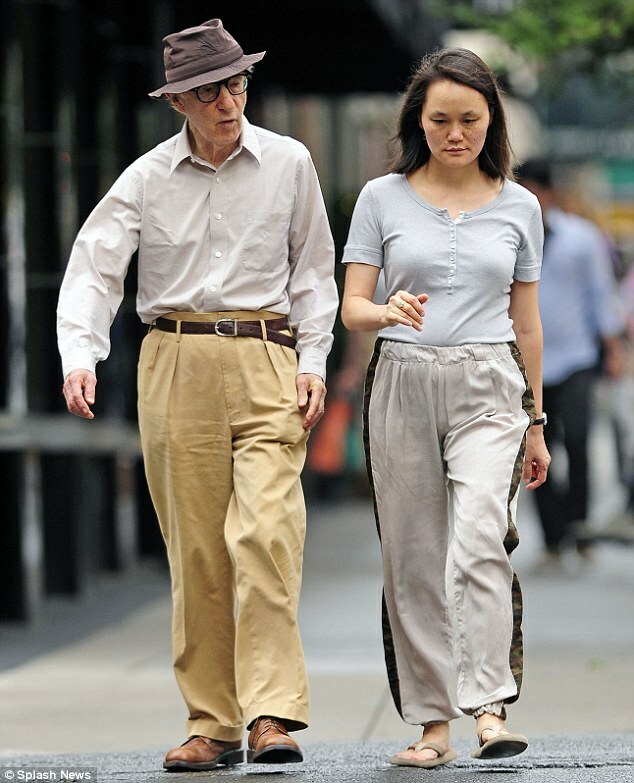 Although he was never married to Farrow, Soon-Yi was considered the sister of Woody and Mia's biological son Ronan. While the director has gone on the record many times to deny there was anything scandalous about the romance, his estranged son still mocks his father's relationship. Speaking previously about the relationship the 25-year-old, who now works for the Obama administration, has said: 'He's my father married to my sister. That makes me his son and his brother-in-law. Allen and Previn have two adopted daughters, 14-year-old Bechet Dumaine, who was born in China, and Texas-born Manzie Tio, 13.